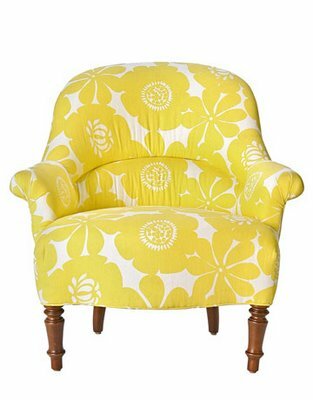 I’m on the hunt for a yellow chair for my bedroom. Yellow is such a cheerful color, and it would be a perfect match with my new color theme – grey, black, and white. I definitely need a pop of color. I was doing a search online and found a couple of options that are similar to what I am imagining. I think everyone should have at least one fun chair in their home – a deep purple, light teal, or red – pick your choice, but don’t be afraid of the color.